Abstract: The mission of ethics does not reside only in carrying forth the theoretical aspects of moralities, but in being a practical, real guide in the instruction and improvement of ethical life of society. The role of ethics is to assist people and institutions in decision making on what is best for them to do, on which criteria to choose and which are their ethical motivations in their actions. In the analysis of cyclic evolution of business in a company, irrespective of the position taken by the decision maker, the economic conjucture in which that company carries on its activity must also be taken into consideration. Therefore, the furtherance of a proper ethical behavior, both from the part of managers and that of subordinates, has a huge importance with decisive impact on the final results of the whole company on its market evolution. Abstract: In this paper we will present the importance of business networks within the current economy and we will point out that, in the face of fierce competition, cooperation between various business entities is needed. This new type of business as a business network determines that the companies involved retain their autonomy but at the same time have a degree of interdependence and cooperate with each other. In the second part of the article we will give some examples of business networks to highlight the specificity of a network set up by firms and the benefits this business brings to all participating firms. Abstract: This paper presents some aspects of digitalisation in the retail banking sector in the world and in Romania within the recent years. It will show the context of needing digitalisation in the banking activity, the current state of digitalisation, evidences of this phenomenon in the world and in Romania and the consequences on the banking activity. The motivation for this theme derives from the fact that the Romanian banking system has recently been preoccupied with introducing new and sophisticated IT techniques in its work. The objectives within the paper are to present the main aspects related to digitalisation, to present the aspects regarding the manifestation of this phenomenon within the Romanian banking system and, as wel, to present the analysis and interpretation of some relevant indicators for this process. Abstract: The need for capital, financing is one of the most important problems faced by any economic agent - from the smallest trading companies to banks and multinationals, and even states as distinct entities. The first option of an entity that is aware of the need for funding is the use of the local market, mostly through bank loans. But with the tightening of banks' credit conditions for companies, many companies have begun to reorient themselves to other modern finance products that can provide them with the cash needed to carry out their business. In this paper, we will try to conduct a factoring analysis of the factoring operation in a construction company choosing this sector of activity, because in Romania the constructions are presented as the market leader in accessing factoring as a way of financing. The main issues to be addressed in this case study will be: the rentability of the factoring operation, the cost of the factoring operation, the accounting of the main factoring operations, as well as the advantages and disadvantages arising from such a factoring operation. Abstract: University marketing is of special importance for ensuring the survival of universities in a competitive environment, in the post-modern society. Thus, higher education institutions are becoming the main actors on the immense scene of humanity, which by using marketing in the current work, by implementing its principles and functions, can play the role of moderator among those willing to specialize, to benefit of highly qualified and capable staff for successfully carrying out certain increasingly complex business activities. Placing the center of gravity on education as a priority domain in making social, technological and economic transformations within the modern society means not only a paradigm shift but a challenge for education systems to identify the resources needed for change and to ensure the sustainable development of society. The problem of increasing the capacity of human resources is progressively advancing, through the transition from education based mainly on knowledge to the education that emphasizes the ability to capitalize on knowledge in new contexts. The general object of the study is the identification of marketing particularities in higher education, as well as the main correlations and links between the elements specific to the university marketing and some particularities on the consumer behavior - the student. Taken together, the above mentioned are arguments for ascertainment that the educational phenomenon and act are to be restored on new bases, focused on the marketing optics, which implies the development of policies and strategies oriented towards the knowledge/anticipation of the need for education and towards the performances achievement. 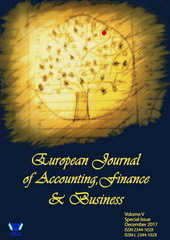 This finding determined the research problem identification: substantiating and elaborating the concept of educational marketing, evolutionary and customer centered, with a large axiological load, which determines a new vision on the development of contemporary education in a socio-economical and pedagogical context oriented towards market. Abstract: The present paper appeared in a turbulent social context in which the Romanian scientific universe is shaken by scandals built on the background and on the form of the so-called plagiarism practice. Of course, by its nature and extent, this work does not aim to deal exhaustively with the given theme, but induces, instead, a holistic approach on the subject regarding the emergence and expansion of plagiarism, as well as of the concepts and practices deriving from it. Thus, this text is constituted, first of all, on the issues that, historically, have favored the scientific and technological progress and which have also fueled the intensity of plagiarism, and, in a second stage, on the background of the socio-economic comfort that the Romanian legislation and regulations (in the field of scientific research, education or copyright) are trying to offer to the original researchers. Among other objectives pursued in this paper, is remarked our desire to highlight some of the legislative aspects that constitute important barriers in the "indoctrination" of plagiarism within the Romanian scientific space.